Here is one of those really difficult decisions that you would have to make if you were a member of Congress. As every Republican in Washington will tell, if we don't cut the deficit to zero in the next year or two then ... well, all kinds of really terrible things will happen. Now here is your choice. b) You could cut $7 billion dollars going to provide nutrition to kids? Think fast. Who should make the sacrifice? Who should suffer? 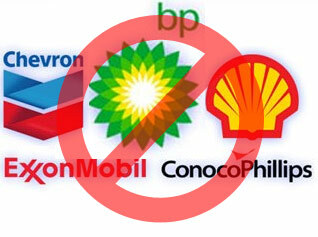 Should it be Big Oil or little kids? Well, if you are a Republican, I'm sure you would choose to protect Big Oil and let the kids go hungry because that is what the Republicans are doing.